Winterbourne is one of England’s great surviving medieval barns, built in 1342, the barn is a unique survival of the medieval agrarian economy. Located 700m west of the village Winterbourne, it was commissioned by Thomas de Bradeston, who was Lord of the Manor of Winterbourne from 1328 until his death in 1360. Winterbourne Medieval Barn also known as Court Farm Barn is a building of national importance and is a Grade II* listed building. The barn is an outstanding example of a raised-cruck construction, one of the largest and earliest of its kind, and the original roof structure remains largely intact. The barn, church and hamlet were designated as a conservation area by the council in 2005. 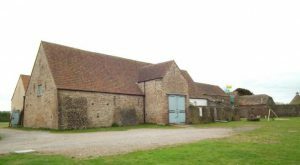 Winterbourne Medieval Barn Trust (WMBT) was granted charitable status in 2005 following the historical development of the Winterbourne Barn Trust-in-Waiting and Winterbourne Medieval Barn Development Group. In partnership with Winterbourne Medieval Barn Trust we have received initial support from the Heritage Lottery Fund (HLF) to help restore Winterbourne Medieval Barn. Development funding of £165,000 has been awarded to help us and the Winterbourne Medieval Barn Trust (WMBT) progress proposals to apply for further funding before December 2017. The total amount of grant funding applied for to support the project will be £1,045,000 (including this initial development funding).